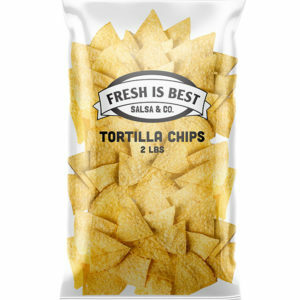 Fresh Is Best's famous Tri-Flavor Tortilla Chips with baked in corn, jalapeno, and chili flavor and lightly dusted with sea salt. YUM! 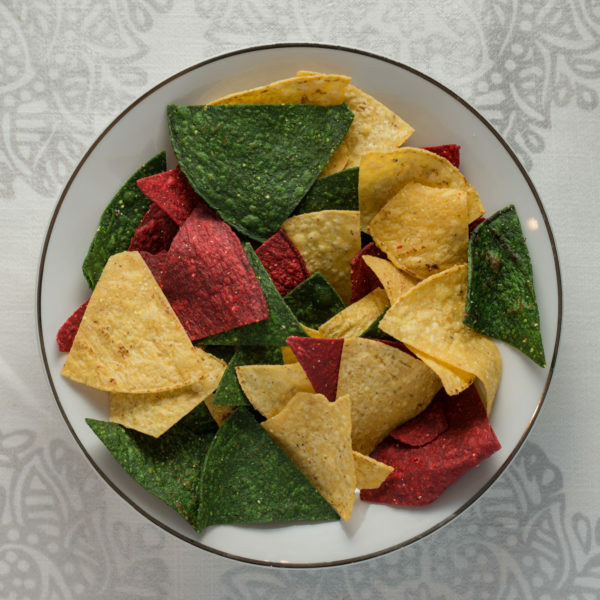 Great for lunches, or as a grab n' go for a single serving portion. Made in CANADA. Vegan. Certified Kosher. Gluten Free. Low Sodium. 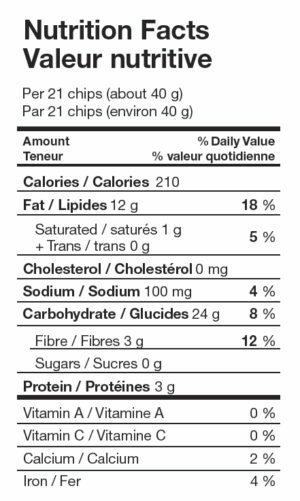 No Trans Fats. Available in select Grocery Stores across Canada & always available at our FIB RETAIL STORES.